Come and experience fantastic fishing from Branch's Seine River Lodge near Atikokan, Ontario Canada. Housekeeping or all-inclusive American Plan fishing packages feature comfortable, modern lakeside cabins and the choice of a basic boat package or upgraded boat package. 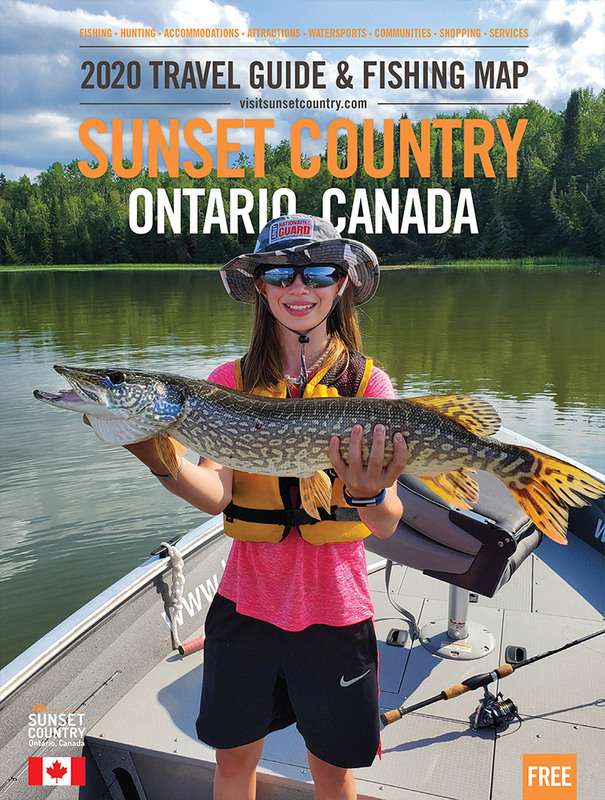 We are in the centre of one of Ontario's premier fishing systems, the Seine River Chain of Lakes, 30 miles of water and 5 lakes with terrific northern pike, walleye, crappie and world class smallmouth bass fishing. Our self-guided packages all include a 2-3 hour in-boat/on-water "system orientation" of the Seine Chain as well as unlimited live bait, ice, maps and unlimited fuel for your boat. We also have literally dozens of nearby "remote" lakes that feature all these species plus lake trout. Some of these lakes are rarely fished and offer near virgin fishing action. Access to remote lakes varies; some are drive-to a boat launch, others are walking in short trails to a boat cache. Whether you choose to fish just the Seine or remotes lakes or a combination of both, you're assured that you'll come back to a clean modern cabin with all the amenities of home, including air conditioning, wi-fi and satellite TV. We also offer complete and partial canoe trip outfitting for Quetico Park and the White Otter Wilderness. American Plan Lodge: We off both guided and self-guided American Plan packages. Both come with home cooked meals, accommodations and many more ammenities. Cabin Rentals (Housekeeping): Cabin rentals are cozy, comfortable and well equipped. Some are new and some are older but all are frequently renovated. Canoe/Kayak Outfitters: We are a complete and partial outfitter. We offer several canoe outfitting packages that will accommodate your wilderness adventure. Private Campground: Our private campground has 35 sites available. Sites come with electricity 15 amp and 30 amp along with water amenity. Walleye: The Seine Chain of Lakes offers an incredible array of walleye fishing opportunities throughout the system. Northern Pike: With a surplus of ideal habitat, on the Seine Chain of Lake the northern pike thrive on the Seine Chain. Lake Trout: We have remote lakes that offer all of the fish species that the Seine has, and some have outstanding lake trout fishing. Smallmouth Bass: We also are home to some of the best smallmouth bass fishing Ontario - and Canada - has to offer. Crappie: And if panfish are what you're after, we've recently started seeing some really nice crappie coming in. Perch: You may find yourself getting into a bit of yellow perch action, if you can get to them before the walleye & pike do! Moose: Each fall we welcome Ontario resident hunters who come to the Atikokan area to hunt moose. Deer: Seine River Outfitters offer guided whitetail deer hunt that run from mid-October through November 15 each year. Black Bear: Our baited stands are guaranteed active and are generally within a half an hour from the camp. Most are road access while a few are water access. Wolf: With our large wolf population and immense wilderness terrain, our timber wolf hunt is not to be missed! Grouse: The Atikokan area provides some of the best spruce & ruffed grouse hunting in Canada. The hunting begins September 15th each year.